Bank of Ireland Junk Kouture is the label behind Ireland’s leading fashion and art competition for 2nd level students. The competition challenges students to create unique, original and innovative outfits from recycled materials and junk. Students are challenged to create a wearable couture design and submit the photos of their finished outfit online. The designs must be made from reworked trash or other used materials that are beyond their intended purpose. Registration will open on the 7th of January 2019, and will close on January 21st 2019. A maximum of three students can work on a single design. The successful designs will be announced on the 7th of February at 7:00pm via the BOI Students Facebook page, and subsequently the students must choreograph a performance to showcase their outfit on the catwalk in one of five regional semi-finals held in theatres across the country. The chosen model has 60 seconds to impress the judging panel on the catwalk and if successful he/ she will be one of the twenty designs progressing to the glamorous grand final in May 2019 that will be held in the 3Arena Dublin. 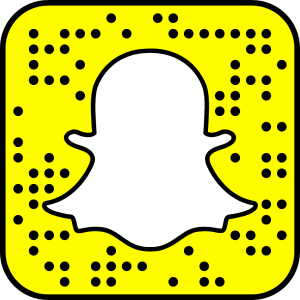 There are great prizes for the winning school and team. 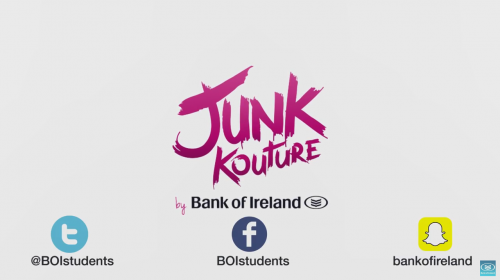 If your school is interested in taking part, download your info pack and register on Bank of Ireland Junk Kouture 2019. Check out our highlights of the Grand Final 2018.